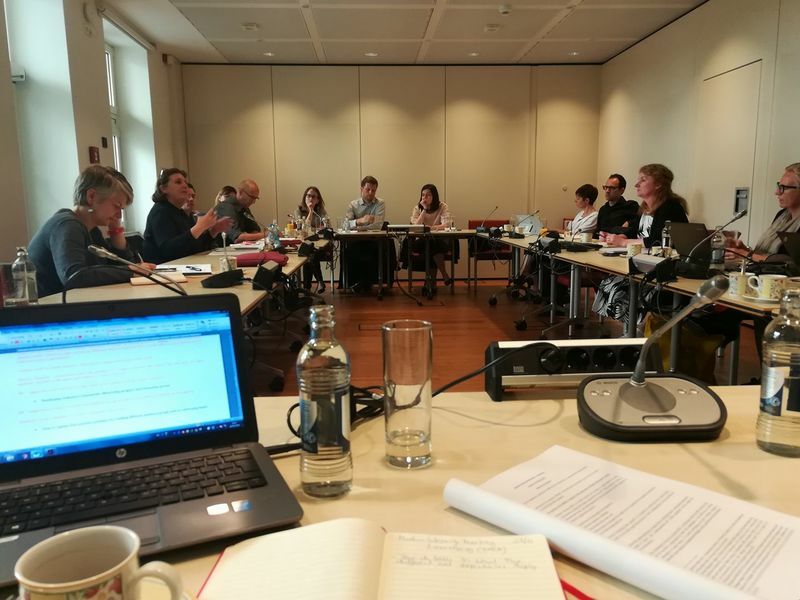 A new Taskforce for Media Literacy, established by EPRA, met for the first time on the eve of the 47th EPRA meeting which took place on 23-24 May 2018 in Luxembourg. Delegates from 22 EPRA members have already joined the Taskforce - all at different stages of developing their own approach to promoting media literacy in line with their own duties and obligations. The Taskforce's very first objective was to produce guidelines, as a kind of "check-list", on how to establish a national Media Literacy Network - as comparative research conducted within EPRA showed that working in collaboration with other stakeholders is a priority for many regulators. A survey conducted in 2017 among the EPRA network revealed that promoting media literacy had potential benefits for regulators and that the majority of respondents believed that working in partnership was a key element of a successful project. However, fewer than half of EPRA members’ countries had a network or platform where media literacy stakeholders could meet and share best practice. Media Literacy expert Martina Chapman helped drafting the guidelines which were formally adopted by the participants in EPRA’s MIL Taskforce on 22 May 2018. The overall aim of this informal group is to exchange information and provide informal support and guidance to members of the EPRA network on media literacy related matters. In the short term, the Taskforce will aim to produce a set of guidance documents on particular aspects of regulatory work in this area – be it setting up a network of stakeholders, information gathering, evaluation of projects or similar. The Taskforce will also aim to meet around the biannual EPRA meetings to further discuss areas of cooperation, and will use its contact list to circulate developments of interest. At its first meeting In Luxembourg, the Taskforce also took note of a new provision in the recently agreed revised Audiovisual Media Services Directive, which will require all EU Member States to promote and develop media literacy skills and to report on their efforts. This new obligation seemed to point to the need in the near future to, among other things, take stock of existing media literacy initiatives and projects – and the Taskforce noted that cooperation among regulators could play an important role in this task.